European Auto Wholesalers, LTD. is proud to present and offer this low mile, ultra-clean Electra Glide Ultra Classic for the first time since being bought new. Garaged from the first mile, this Electra Glide was a weekend-only, local cruiser; traveling a mere 5,993 miles. Consigned by a veteran rider and enthusiast, no expense was spared to care for this Electra Glide. As such, it is in wonderful condition, with servicing, regular detailing, and all accessories purchased and installed at the local Harley-Davidson dealership. Benefiting from such careful ownership, this Electra Glide offers plenty of searing chrome and sharp Dark Blue Pearl paintwork. Harley-Davidson accessories, such as chrome floorboards, hand controls, and more offer great accents to this handsome bike. The 96 cu. in. engine is the heart of this Harley, firing up at the first click of the ignition thanks to its ESPFI fuel injection. Breathing through Rinehart exhaust pipes, the classic Harley sound is present and robust. 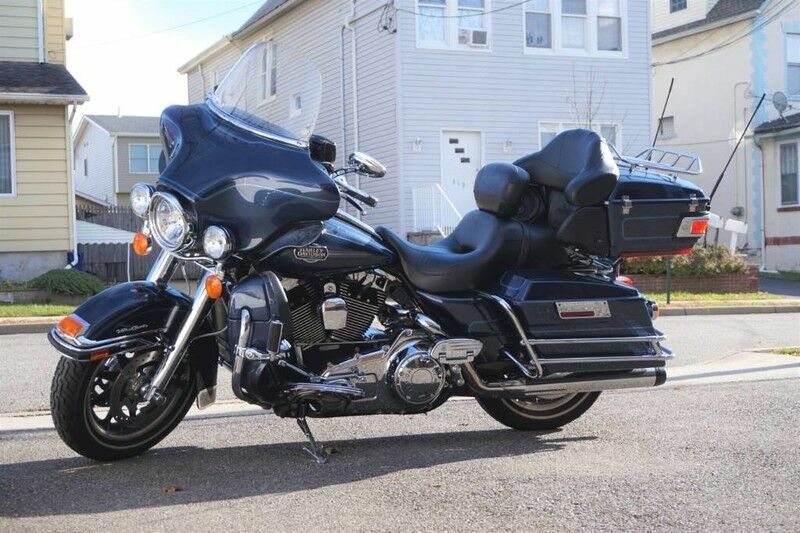 Meant for cruising in comfort, this Electra Glide has been fitted with inner fairings, adjustable seat, GPS, and upgraded stereo, as well as blue accent LED's. This is far from the typical example and offers interested parties the knowledge that they are considering a bike that has been treated like family. If you are searching for the ultimate Electra Glide that has been lovingly cared for since new, look no further and call today!